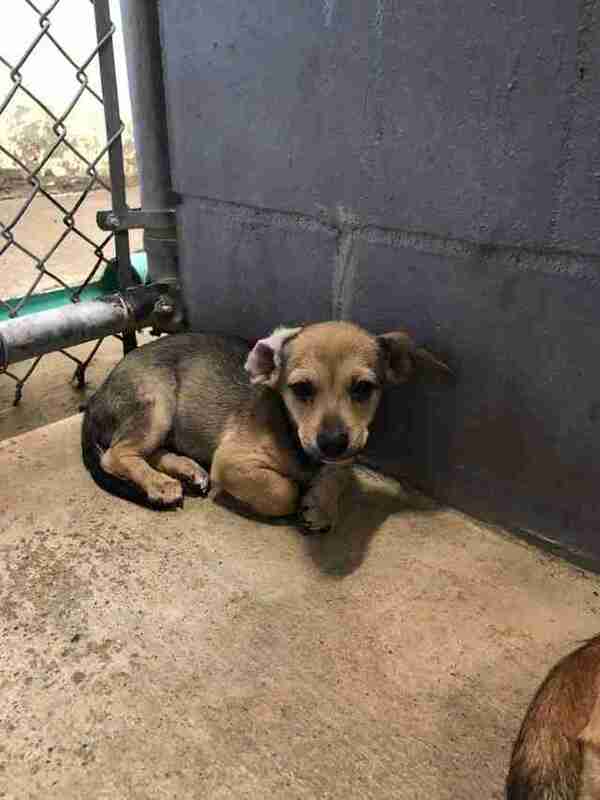 In an overcrowded shelter located in the southernmost tip of South Texas, a mother dog tried desperately to shield her only baby. 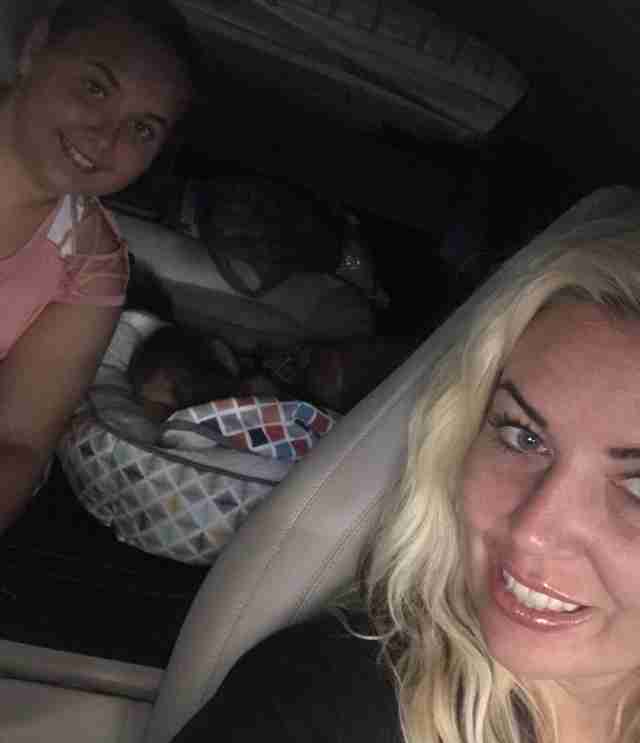 Both dogs quivered in front of the woman holding the cell phone camera, and the baby kept hiding her face between her mom’s leg and the cinder block wall of their kennel. 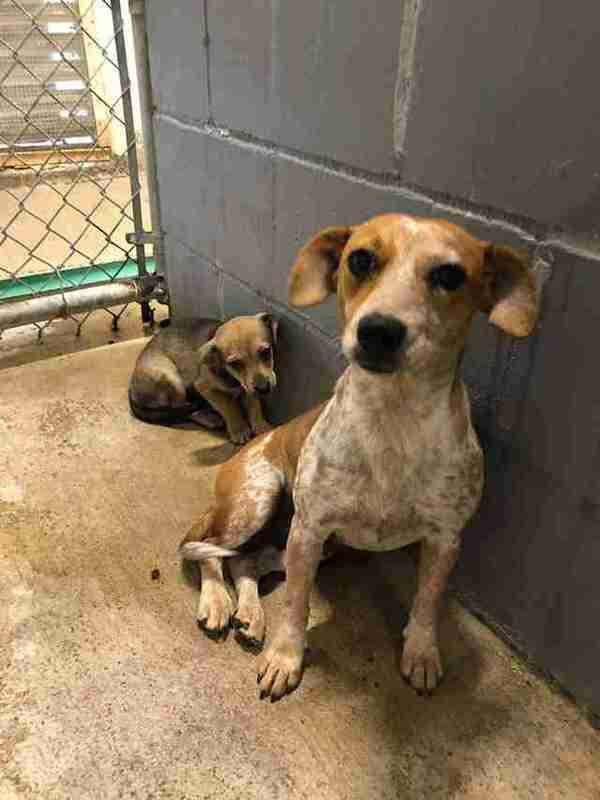 The frightened dogs’ time was running out, and the volunteer capturing their nervous reactions knew that they wouldn’t make it out alive if somebody didn’t step forward to foster or adopt the bonded pair. Rescue Dogs Rock, a foster-based rescue in New York City, shared the heartbreaking video on Facebook accompanied by a plea for help. 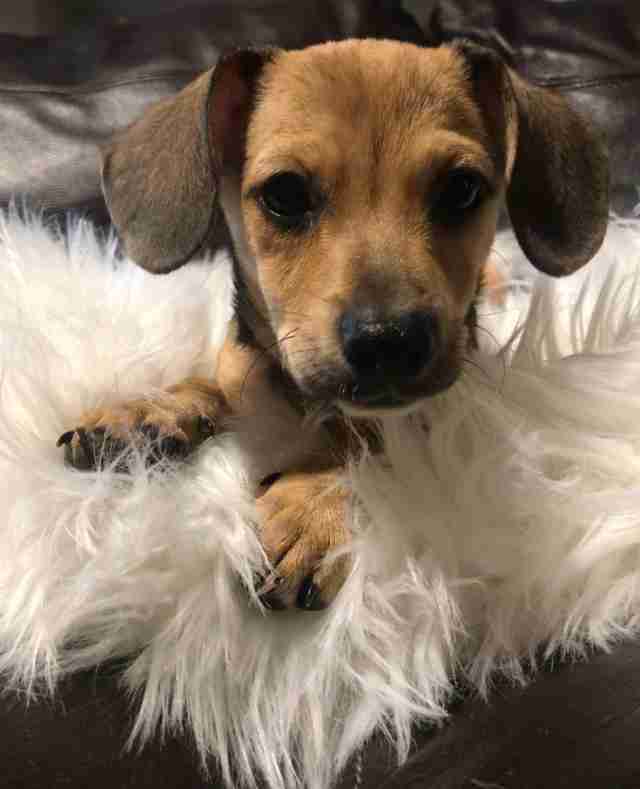 A group of local volunteers stepped forward to help transport the two little dogs across Texas, making stops in Austin and San Antonio, and finally meeting Hammack in Fort Worth. 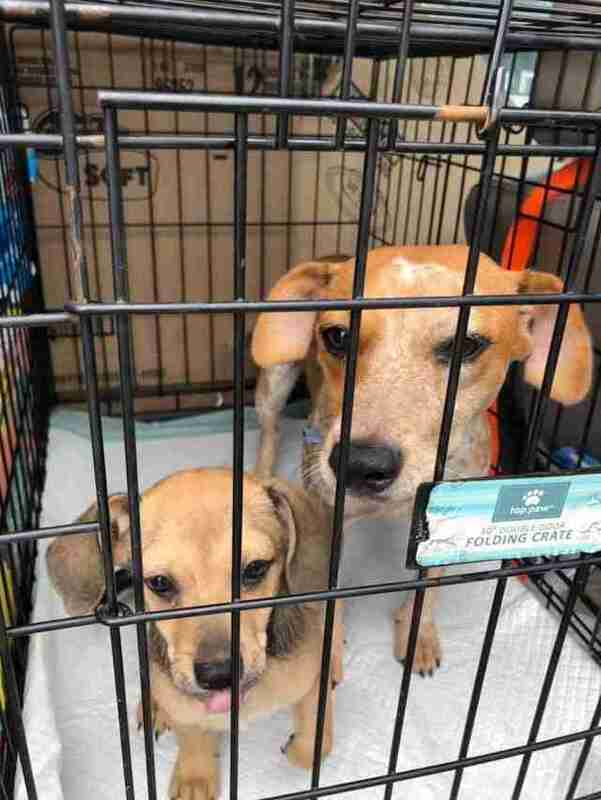 Out of the shelter and in the cozy air-conditioned car, the two exhausted dogs could tell they were finally safe. Hammack’s 12-year-old daughter kept a careful eye on them the whole way home, and soon, the pups began to relax. “The mama put her head over the baby, and they slept on the way back,” Hammack said. While Sadie and Benzy were clearly happy to be out of the shelter, Hammack could see that the mother dog was still extremely protective of her little baby. Introducing the two newcomers to Hammack’s pack of rescues took a little time. Sadie didn’t want anyone around Benzy, and Hammack had to hold her while her dogs played with the puppy to show the doting mom that everything was going to be OK. Benzy, on the other hand, was eager to tussle with her new pit bull friends. After about a week, the six dogs began playing as a group, and Hammack’s pack has taught Sadie and Benzy all the rules of the house. “The mama now loves to play with all of them, and they all go outside together,” Hammack added. While Sadie was fearful at first, cowering at the sight of Hammack, over the past three weeks she’s finally opened up and begun to show her true personality. It’s uncertain where the bonded pair will end up, but one thing is clear — no matter where Sadie and Benzy go, they will remain together. To find out how you can adopt Sadie and Benzy, you can fill out an application here. To help other shelter dogs in need find homes, you can make a donation to Rescue Dogs Rock.